Peak Experiences will have a table set up at Väsen Brewing Company's 1 Year Anniversary Festival! Väsen Brewing is one of our Peak Partners and we hope to see you for a full day of bands, beers, and food! 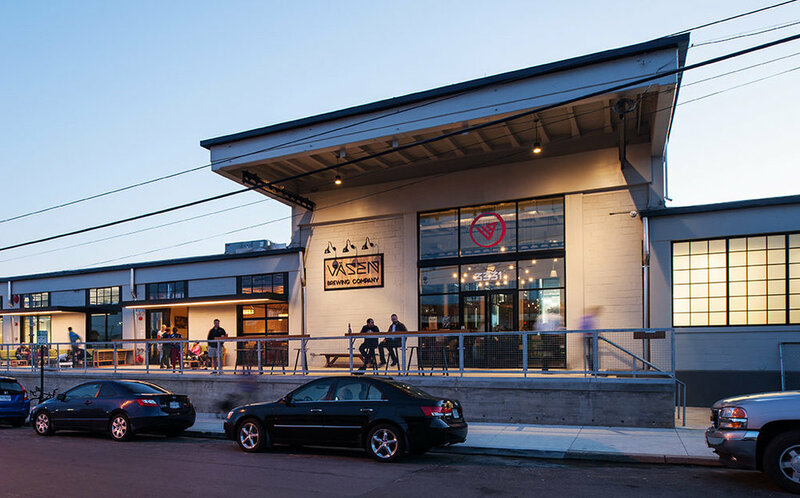 Join us JULY 26th from 7-9p for our first ever BEER & GEAR event! Check out new products and demo ropes from Sterling Rope. Learn about the technology and designs that make their ropes legendary in performance and durability. Hear about the process and artwork of local artist (and Peak member!) 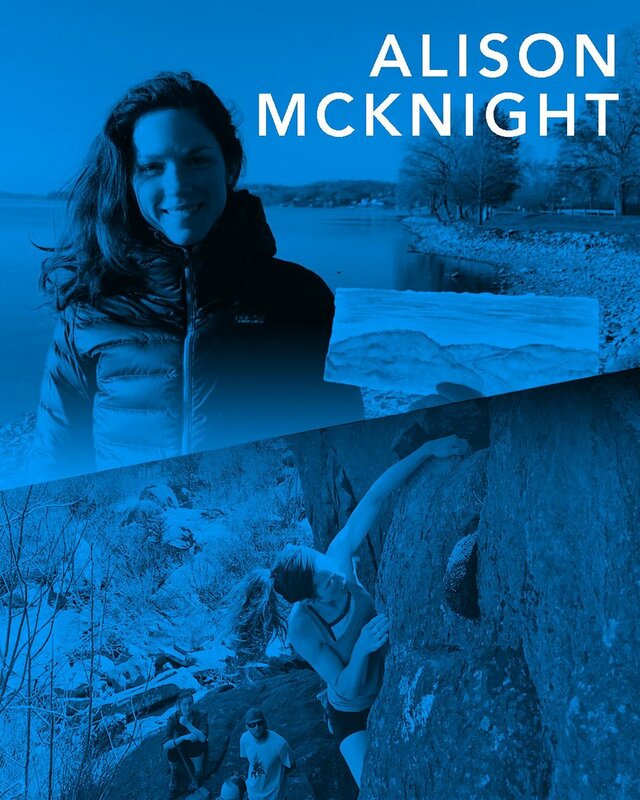 Alison McKnight. Her art is also available for sale in the PeakRVA gear shop. Then (for our members ages 21+) you can grab a LIMITED EDITION Peak pint glass for $7 and enjoy a post-climb brewski courtesy of Väsen Brewing! Joey Darragh of Väsen will be here to educate us on how they make such an awesome product right here in RVA! 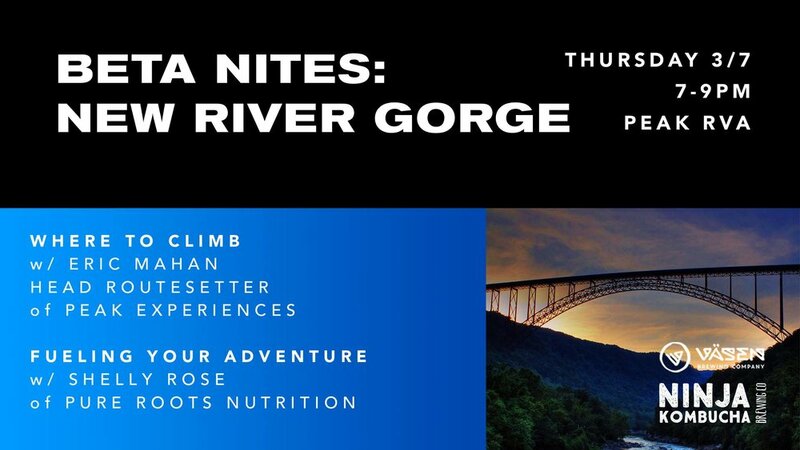 Sign-up at the PeakRVA retail desk before or day-of the event - You won’t want to miss this! Väsen Brewing - New Peak Partner! We are so happy to announce that Väsen Brewing Company is now offering Peak Experiences Members 20% off on Tuesdays! All you need to do is show your member card/key tag. If you have any questions or would like to be a Peak Partner please contact Pete Guyre pete@peakexperiences.com. Visit our Partners and Save this Summer! While you're out enjoying the river city this summer stop by one of our local partners, show your member card, and save! If you're interested in becoming a Peak Partner please contact Pete Guyre pete@peakexperiences.com. Will you Be(lay) my Valentine? 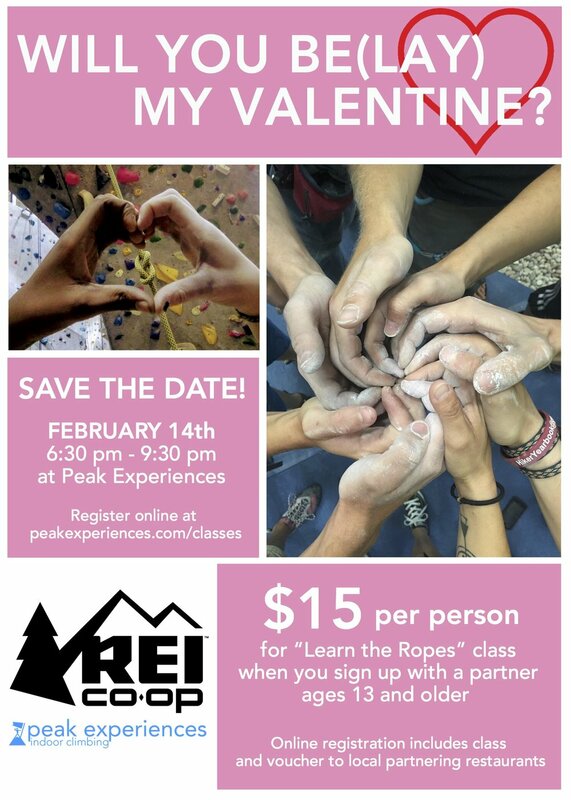 Instead of awkward conversation over a boring dinner, come out to Peak Experiences on Valentine's Day and learn how to rock climb! Bring that special someone and you both will receive 50% off our Learn the Ropes Belay Class! 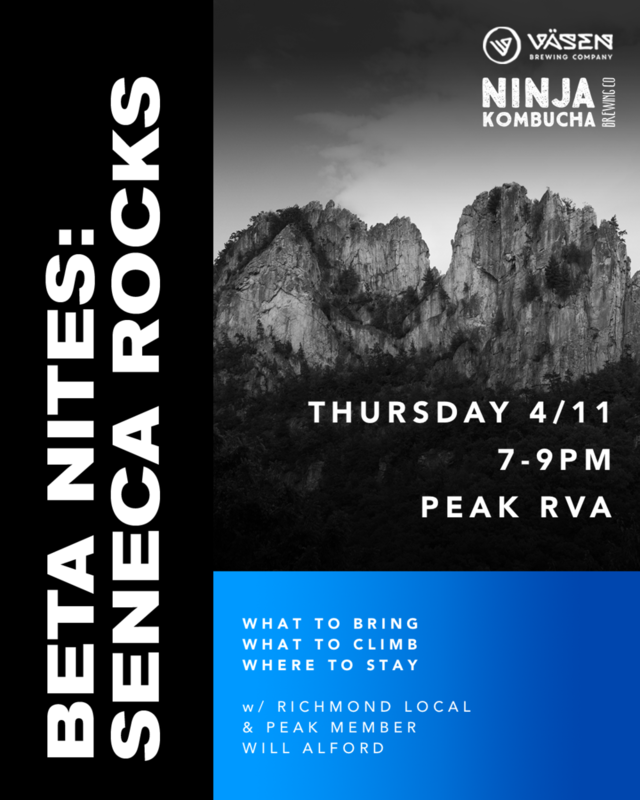 Thanks to REI, VCU-OAP, Cava, and Redbull for helping with this event. Click here for more info and to sign up online. Let's do "Efficient Dietary and Training Principles for Optimal Performance"
"Many of us are aware of the importance of exercise and eating well both for long term health as well as performance… but, beyond that understanding, how do you really know that the work you’re doing in the gym and what you’re eating is ACTUALLY getting you closer to your health and fitness goals?" Dave Robinson of Get Strapped Stay Strapped discusses how to discover your “Why”, the importance of setting proper goals, and what you can do both in the gym and in the kitchen to help you most efficiently reach the goals you set!" Dave provides 12 week individualized goal oriented training programs and is offering Peak Members 10% off! Contact Dave through Facebook and his website. 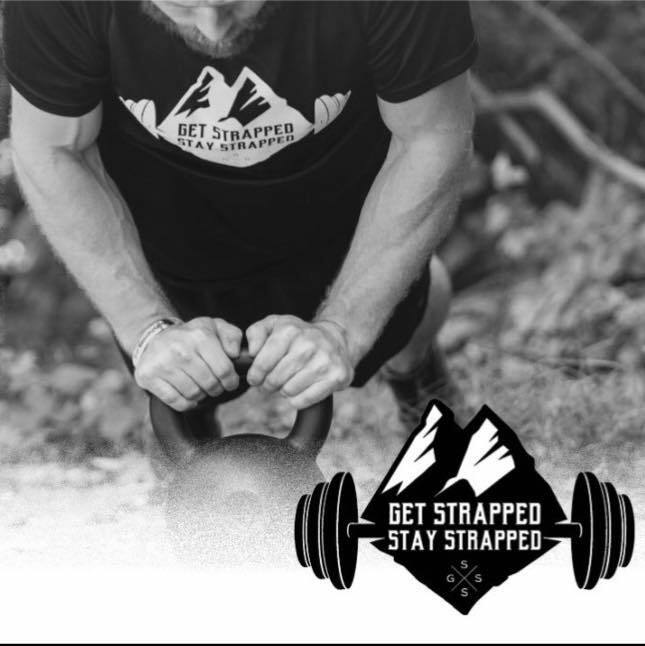 Bio - Dave Robinson is an elite Spartan Obstacle Course Racer and fitness consultant that founded his inspirational, life-changing company Get Strapped Stay Strapped in late 2016. Making waves in the fitness industry with his deep passion for nutrition, exercise and wellness, Dave is constantly pushing himself as well as others to realize their maximum potential. Dave’s philosophy derives from his tag line “Grind On” where incorporating hard work and dedication to your daily grind yields positive results in all aspects of one’s life. We're partnering with TidalWheel fitness over the weekend of February 3 and 4. 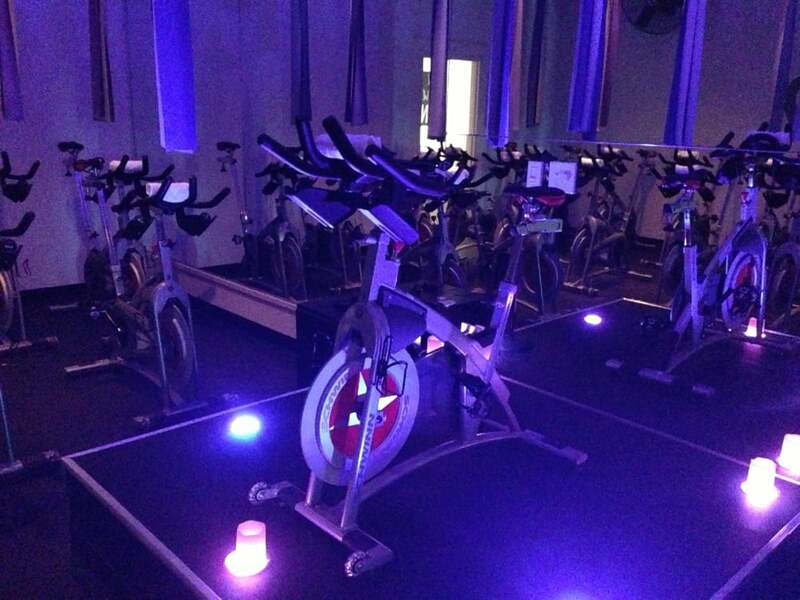 Peak members can take a FREE class with TidalWheel and their members get a FREE day pass with harness rental! We're excited to be collaborating with local partners and we hope this gives all our members the opportunity to try some cross-training. Offer is valid at the West End location. Beginning Monday January 29th you may use code PEAK on TidalWheel's website to book your FREE class. Goatocado is offering Peak Members 10% off purchases at their restaurant. Not valid at food trucks. Twisted Ales is offering Peak Members special deals on Tuesday nights! Pure Roots Nutrition, a local nutritionist and one of our members, is offering $30 off her 25 day sugar cleanse that happens four times a year. The next one starts 1/10 and registration closes 1/9. Pocahontas State Park will be giving our members free parking three times a year, we will be sending out vouchers for free parking via mass email in March, July, and September.